Youth minister Florence Nakiwala told the BBC that the country's labour laws state that no-one under 18 should work. 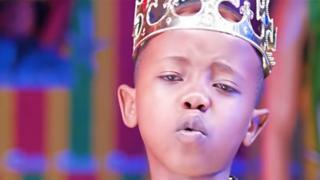 In a television interview on Uganda's NBS channel, she also warned that if the seven-year-old rapper Fresh Kid disobeyed the law he could face juvenile prison. Child labour has been hard for authorities to stamp out, reports the BBC's Catherine Byaruhanga from the capital. "I discovered him in a rural village miming some songs, brought him to the city and started paying his school fees" he said.